The E-Web heavy repeating blaster ("Emplacement Weapon, Heavy Blaster") has been a long-standing fixture as a small- and medium-sized unit gun emplacement. The weapon has been repeatedly proven a top choice for anti-infantry actions, as a joint venture between BlasTech and Merr-Sonn; it received wide distribution throughout the galaxy's various military organizations. BlasTech's new E-Web(16) is a revolution in heavy blasters. BlasTech beat the odds once again and developed a one man version of their famed E-Web. The E-Web(16), often called the "Porta-Web," is nothing more than the main weapon off of a standard E-Web that has been reduced in size and mass. It is powered generally by a combination back pack generator and cryocooler unit. The weapon is outfitted with a high-demand portable Eksoan power generator and is fitted with the new Gk9 Cryocooler unit (to keep the weapon from overheating in combat). All of this is incorporated into a single 20 kilogram back pack generator/cryocooler unit which provides the user with limited firing capacity. The unit's cooling coils must be replaced after 20 hours of field use. 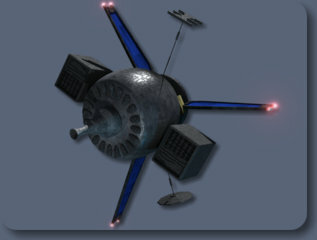 While the original E-Web was intended as a two man weapon for fixed emplacements, the E-Web (16) was meant to be deployed to the New Republic's Special Forces, mainly their Heavy Weapons Specialists. Game Notes: Requires a Moderate Lifting roll to use. The cryocooler/generator back pack can be used in conjunction with a standard power generator. The external generator is plugged into the back pack (which automatically recharges its own power supply) and the back pack is plugged into the weapon itself. 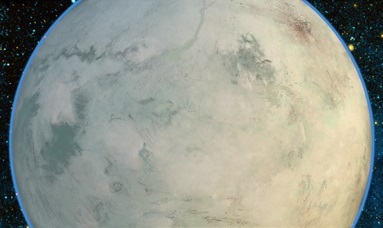 The weapon may be mounted on the standard E-Web tripod and plugged into the standard cryocooler and generators as well.